In what was otherwise a gloomy 2018 season for the Laurier football team, freshman Tyler Eckert was one of the few bright spots. 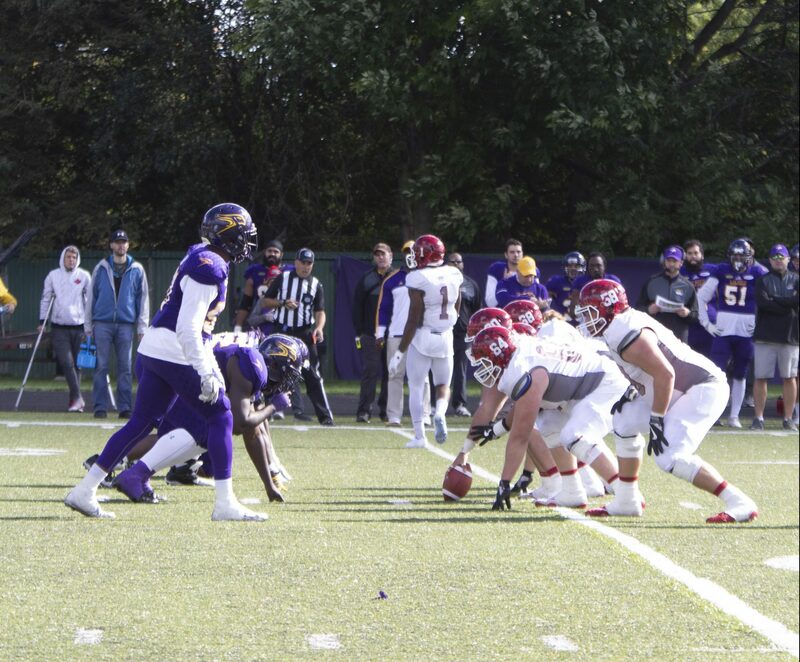 The defensive lineman’s strong play during the year was recognized last week, as he was named a member of the OUA All-Rookie team. In seven regular season games, Eckert recorded an impressive 13.5 tackles for the Golden Hawks, along with half a sack and two tackles for losses. The game where Eckert started to become well-known to Laurier football fans, was week three against Waterloo where he recorded a season high three tackles. Eckert was the only rookie on the team that was a consistent member of the defensive line, with the rest of the core being made up of third and fourth year players. Being around that veteran presence definitely had a lasting effect on Eckert. Despite the Golden Hawks finishing with a disappointing 4-4 record on the season, missing out on the playoffs for the first time since 2013, the team still had one of the strongest defences in the province. Eckert played a big role in helping the team finish with the second fewest rushing yards allowed per game in the OUA. However, regardless of the personal success early in his university football career, Eckert isn’t content with just maintaining the status quo. With an impressive first chapter in his time as a Golden Hawk coming to a close, it will be exciting to see what is still to be written in Eckert’s Laurier career going forward.